Want to Grow Your Merchant Cash Advance Business? Get Our Quality ACH Leads Today! Since the traditional banks have stopped small businesses due to their poor credit ratings, the merchant cash advance has increasingly gained popularity as an alternative source of financing among business owners. Though the MCA industry is booming right now, yet MCA providers are having difficulty in finding the right prospects. The good news is that merchant cash advance providers understand that finding and building clients in the MCA industry is not easy. Luckily, ACH leads lists exist to help you reach appropriate prospects. Automated Clearing House, or ACH, is the electronic funds transfer network that processes debit and credit transactions in batches. Businesses find it a convenient way to receive payments from their customers and also for recollecting funds, especially merchant cash advances. According to a 2015 Perceptions Study, “Research and analysis of supplier activity in the areas of invoicing, payment and remittance, and credit and collections, noted that 83% of respondents currently receive customer payment in the form of paper checks, 71% receive payment via Automated Clearing House (ACH), and 52% receive payment via Credit/P-Card. Alternatively, when asked which payment method they prefer, 63% of those same respondents chose ACH while 25% selected paper checks.” This study helps us see how ACH payments are taking over other methods. Since ACH leads use ACH funding for the purpose of lending cash advances, businesses can target their marketing with ACH records. 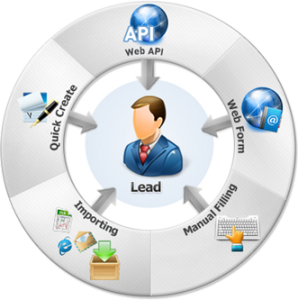 An ACH leads list is highly useful for marketing a merchant cash advance business. The list contains the name and contact information of all those businesses who have previously applied for a merchant cash advance and are expected to seek this type of loan again in the near future. Therefore, if you want to grow your merchant cash advance business and are planning ACH marketing, the first step is get a quality ACH leads list from a reliable lead generation service like ours that will help you know who your target market is and how you should best strategize your marketing campaign. At Merchant Financing Leads, we excel in providing fresh and qualified ACH leads lists that will help you approach your prospects in the right way. All our leads lists are regularly refreshed and we keep our database updated. More importantly, our ACH leads are compiled from the most reliable sources, including ACH live transfers, so they are high in accuracy and authenticity. Moreover, all our leads are phone verified; we guarantee up to 93 percent accuracy on our lists. All our ACH records are compiled from most trusted data and guarantee authenticity and consistency. Having a high-quality ACH mailing list and knowing the right marketing tactics will help you sell MCA loans faster, thus maximizing profits from sales. Moreover, when you start targeting the businesses from your ACH mailing list, more businesses will be interested in getting a loan from you because of the many benefits associated with ACH transactions. What are you waiting for? Get in touch with us at http://www.merchantfinancingleads.com/ today and accomplish your marketing goals.